Goose talking "jobs jobs jobs"
Do you remember Wayne’s pre-budget mantra? 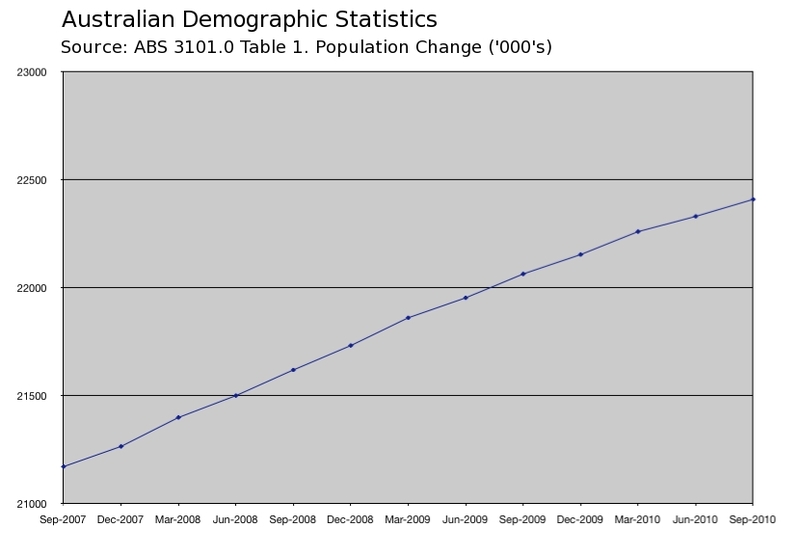 That big red herring about jobs – the one that the entire Australian media corps swallowed hook, line, and sinker? 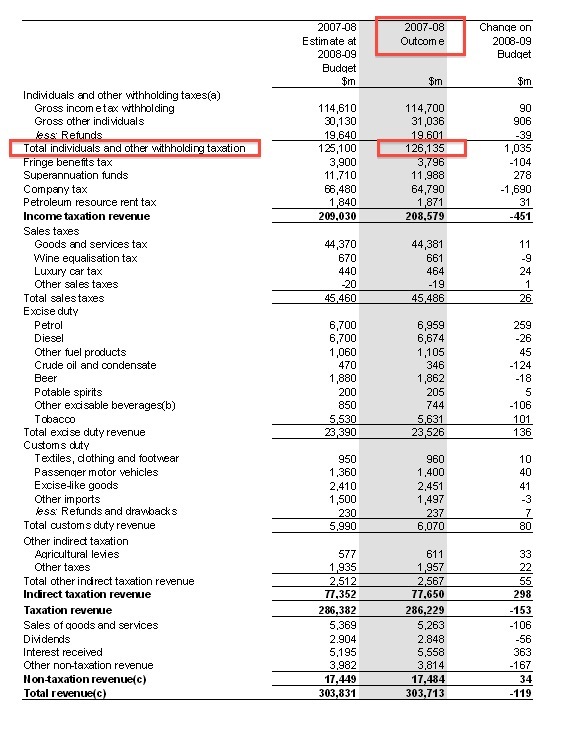 Back in early May, we first debunked Wayne’s Big Lie ( “Behold, Wayne’s Große Lüge” ), simply by comparing his own Final Budget Outcome 2009-10 to the Final Budget Outcome for 2007-08, the year that Labor came to office. Of course, that simple comparison using government budget documents did not take into account a number of factors. Including what may have happened in the employment trends between the end of financial year 2010, and Wayne’s grand claim in May 2011. So now, dear reader, we present for your enjoyment the definitive proof. 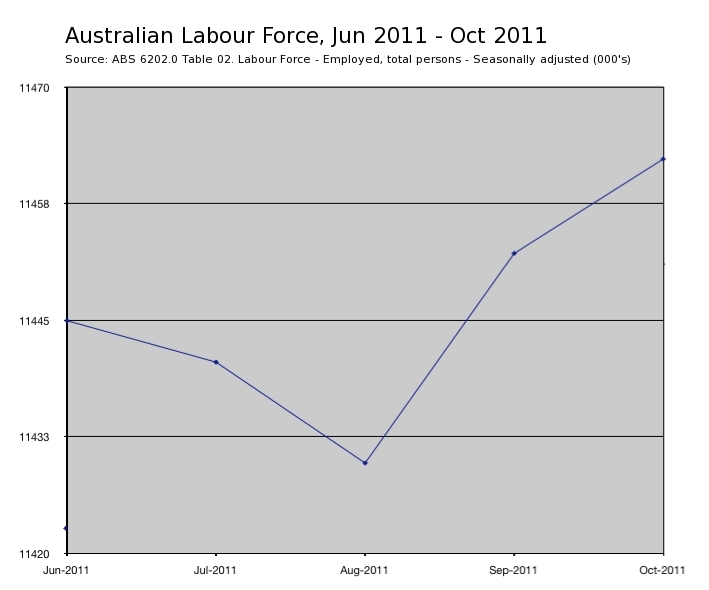 The Australian Bureau of Statistics (ABS) Labour Force data from November 2007 (the month that Rudd won the election) through to May 2011 (the month in which Wayne was frantically waving his “jobs jobs jobs” red herring, to distract from his upcoming record-high budget deficit announcement). That’s a grand total of (8.0271 million – 7.6689 million) 358,200 more Full-time employed persons now, than in November 2007. 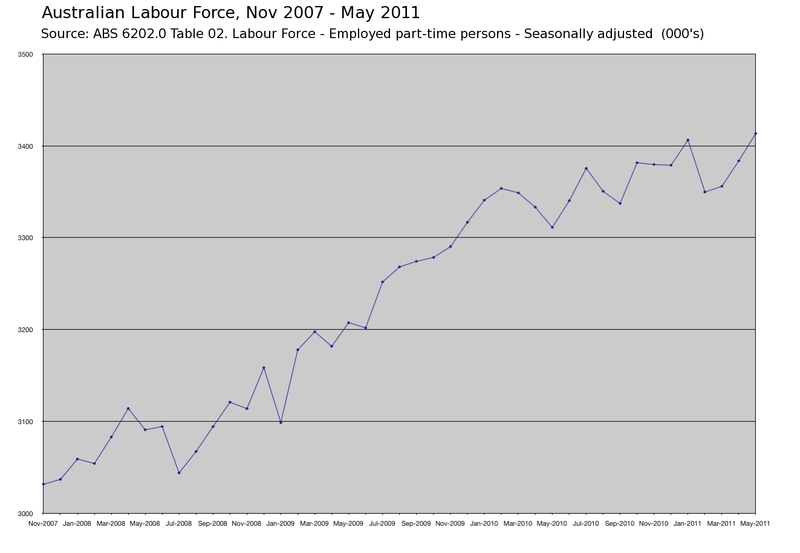 That’s a grand total of (3.4135 million – 3.0317 million) 381,800 more Part-time employed persons now, than in November 2007. 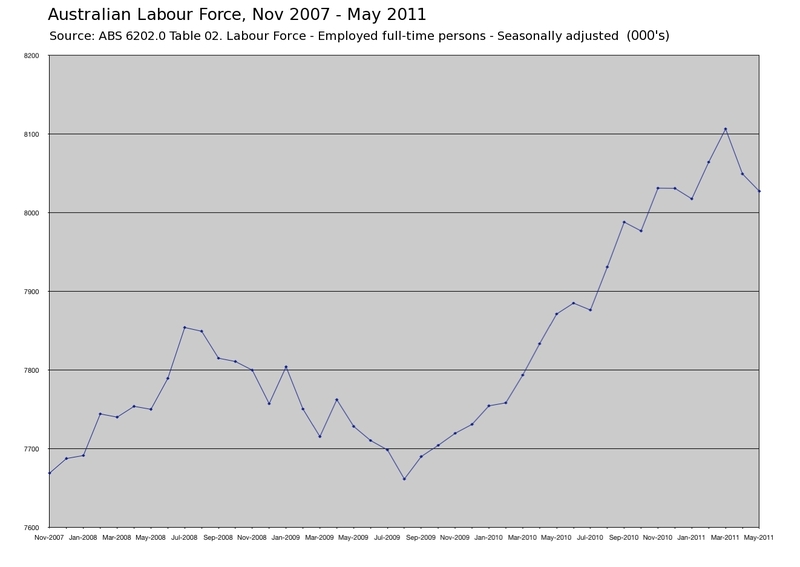 For a grand total of … 740,000 more employed persons than in November 2007. Now, what was that you said, Wayne? Let’s take a moment to enter an imaginary parallel universe. A fantasy world where the Australian private sector – that’s every non-government business in the nation – did not create a single new job – full or part-time – in the past 3.5 years. 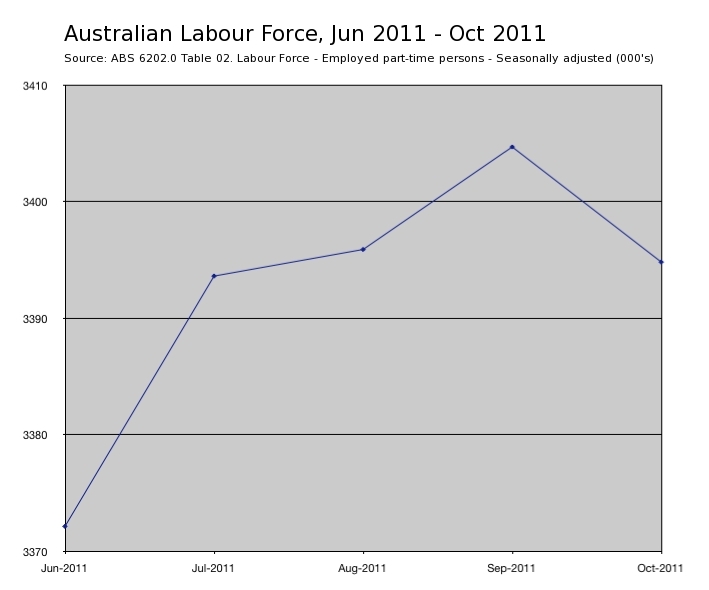 According to the official ABS data, even if the entire private sector did not create a single new job, and instead, we swallow the patently absurd notion that Labor alone was responsible for creating every single new full-time and part-time job in the entire country over the past 3.5 years, Wayne’s claim would still fall short long. By 10,000 jobs. Now, perhaps you are one of the eagle-eyed readers who has spotted the big 80,000 fall in full-time employed persons in April-May. 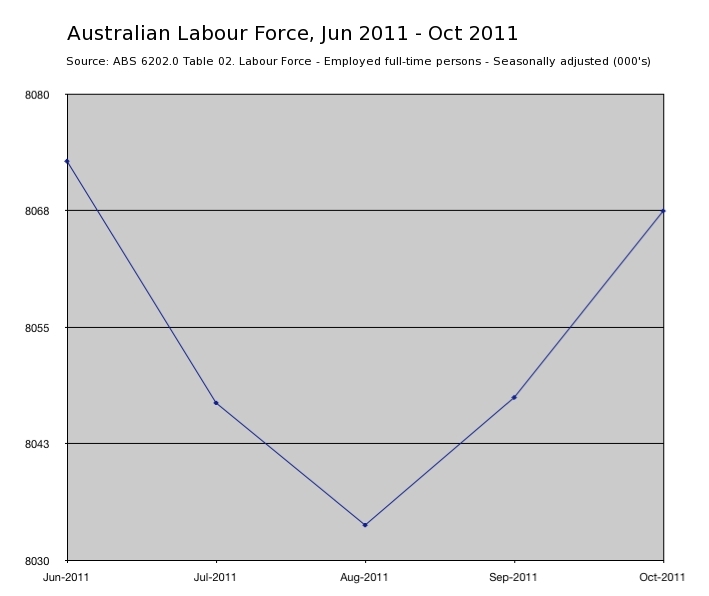 An ominous collapse, only one-tenth less than the GFC-triggered f/t employed persons plunge in Feb-Mar 2009. And you would be right on both counts. Doesn’t help our Wayne’s claim though. 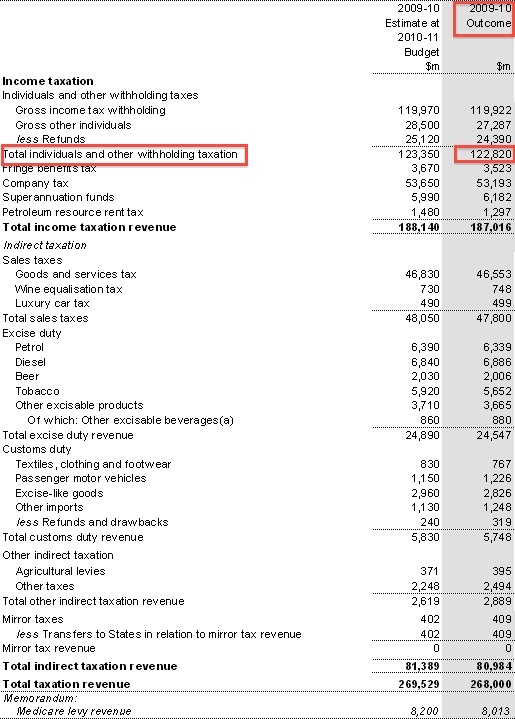 Because if you calculate November 2007 through April 2011 instead, you get a grand total of … (380,200 F/t + 352,000 P/t) 732,200 employed persons. Meaning, his lie was even bigger than you thought. If you are going to lie, make it a Big Lie. 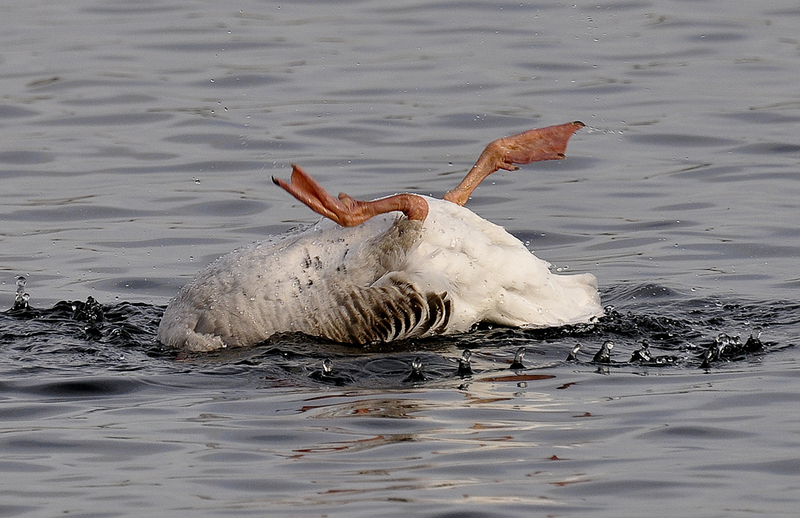 If you haven’t dug your fork in to check if this goose is fully cooked yet, then you might also enjoy our debunking of Wayne’s “But wait … there’s more!” free steak knives claim. That the government “will create half a million more” jobs in the next two years.